University of Michigan Press, 9780472113903, 400pp. "In Milly Barranger, Margaret Webster has found the perfect biographer. In Margaret Webster, Milly Barranger has found her perfect subject. She brings to vivid life a fascinating and important theater figure whose public and private lives were of equal interest. In this carefully researched book, Webster's colleagues, lovers, and friends shine as brightly as she did. I wish she were here to read it." "Margaret Webster is a highly welcome addition to our knowledge of the first important female director in American theater. 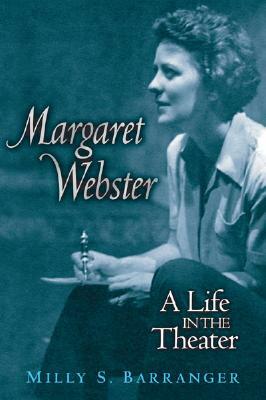 Remembered now especially for her staging of Othello with Paul Robeson, Uta Hagen, and Jose Ferrer, Margaret Webster was probably the best-known, in-demand, and admired director of Shakespeare in America in the 1940s and 1950s. Fascinating throughout, the book's discussions of working with Robeson, and of HUAC, which targeted her just as her career was reaching a peak, make for especially engrossing reading." "In Milly Barranger, Margaret Webster has found the perfect biographer. In Margaret Webster, Milly Barranger has found her perfect subject."